Bert Cohen, successful entrepreneur and natural foods devotee discovered Surf Sweets, a brand based in California that embodied the active lifestyle and clean food choices that he valued. His calling from that time on became clear – to create a Candy Contradiction with Surf Sweets. WE LIKE TO SAY IT WAS SWEET SERENDIPITY. That mission continues today – our organically sweetened gummy candy and jelly beans are full of the fruity flavor that you expect with none of the yucky ingredients you avoid. 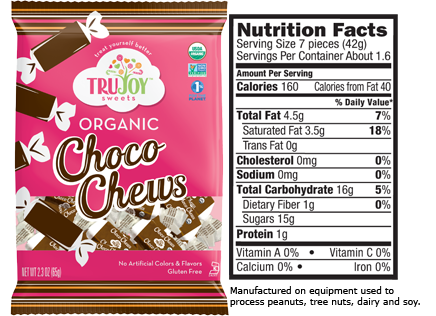 Anyone can enjoy Surf Sweets because our candy is free of high fructose corn syrup, artificial colors and flavors, and the top ten allergens. You will love how the fresh fruit flavor of the organic fruit juice is revealed when it’s not masked by processed corn syrup and petroleum-based artificial food dyes. Pack them in a lunch box, bring them to a school party, or treat somebody for a job well done and enjoy the guilt free sweet satisfaction of having delicious treats everyone loves and knowing they are free of artificial ingredients. Though we’re not based in California now, as devoted parents and doting uncles and aunts, we understand the constant quest to find fun products kids love that aren’t filled with icky ingredients so join us grab some Surf Sweets and Snack Happy! 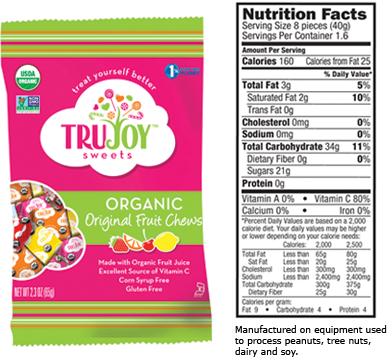 Drenched with fruit flavor, and made with organic sweeteners and organic fruit juice, Surf Sweets Jelly Beans are fun for everyone. A variety of favorite fruit flavors are included in every bag. Including 100% of Vitamin C per serving, these jelly beans are perfect for lunch bags, after school or for anytime enjoyment! Surf Sweets gummy bears and jelly beans taste great! I love that these are made with organic fruit juice, no artificial colors or flavors and are corn syrup free. Surf Sweets are a yummy alternative to other candies on the market. As a parent I often feel guilty giving my kids candy especially if it contains ingredients that aren't healthy. I no longer feel guilty allowing them to eat candy as long as it's from Surf Sweets! I also enjoy eating Surf Sweets and as a gummy bear lover I have to say their gummy bears are amazing! I highly recommend Surf Sweets! Click HERE to find Surf Sweets at a store near you! Check out my TruJoy Sweets Review! Follow Surf Sweets on social media!